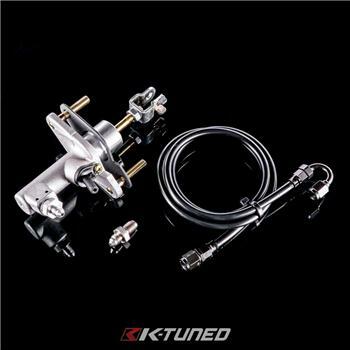 K-Tuned Clutch Master Cylinder - Pann Auto Performance - San Diego largest aftermarket automotive performance parts - What do you drive? The 2002-2006 RSX, 2002-2005 EP3, and the 2006-2011 8th Gen Civic all have a known issue with their factory clutch master cylinders (CMC). If you look at the CMC on these cars more closely, you’ll notice that all of these models have a triangular shaped feedback plate positioned at the very end of the cylinder. This plate is basically a secondary valve that was designed to slow down the clutch engagement and reduce shock to the clutch itself and the surrounding drivetrain parts. This setup might be perfectly fine for people that just drive their cars for simple daily use, but the delayed engagement can cause wear to the synchros and possibly even the gears on performance applications. The reason is fairly simple, the factory CMC delays the clutch operation, so it does not open fast enough to keep up with a fast shift. This means that pressure is being applied to the transmission synchros during the shift, before they are ready for the actual gear change. 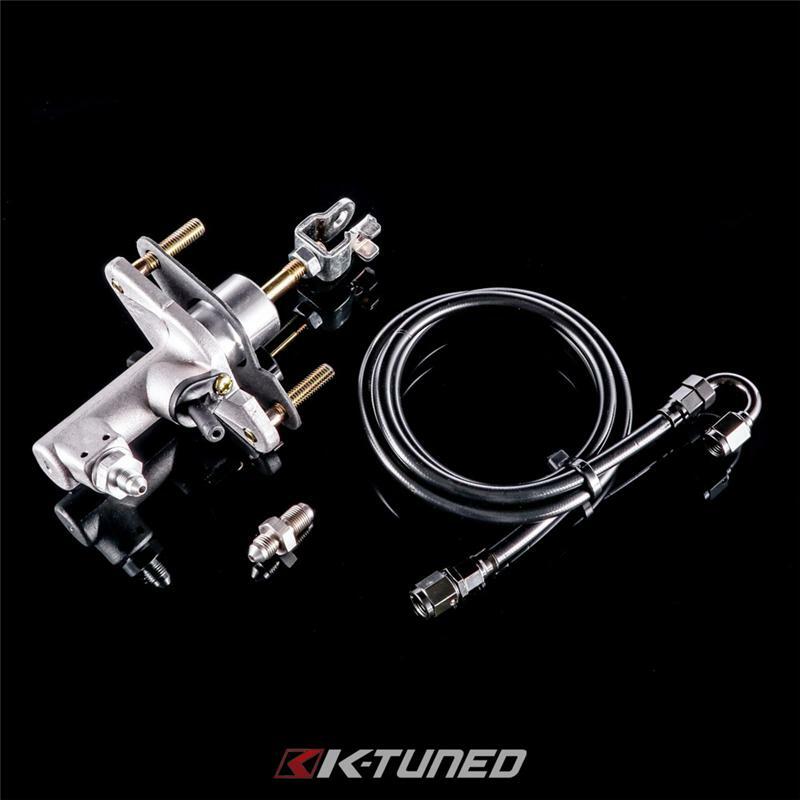 The K-Tuned Clutch Master Cylinder Upgrade Kit was designed to completely replace the original factory cylinder and offer real time clutch engagement to support faster shifting. We have put together a complete bolt-on kit that includes a direct replacement CMC, our high pressure 3AN clutch line, plus all of the necessary fittings needed for installation. The factory clutch fluid reservoir is reused and connected the same way it was in stock form. The only thing we suggest is checking out your slave cylinder on the trans to confirm it is leak free. Aside from that, installation is pretty simple, install the parts and bleed the system using some new clutch fluid.